In 2015, the nations of the world agreed to the 17 Sustainable Development Goals (SDGs). The 17th Goal emphasizes the importance of partnerships for realizing the other 16 Goals. Working in collaboration across sectors, topics, and borders requires a set of capacities that most individuals and organizations simply don’t have yet. This begs the question: how will the 17th SDG be met by 2030? What is the Certification Track about? 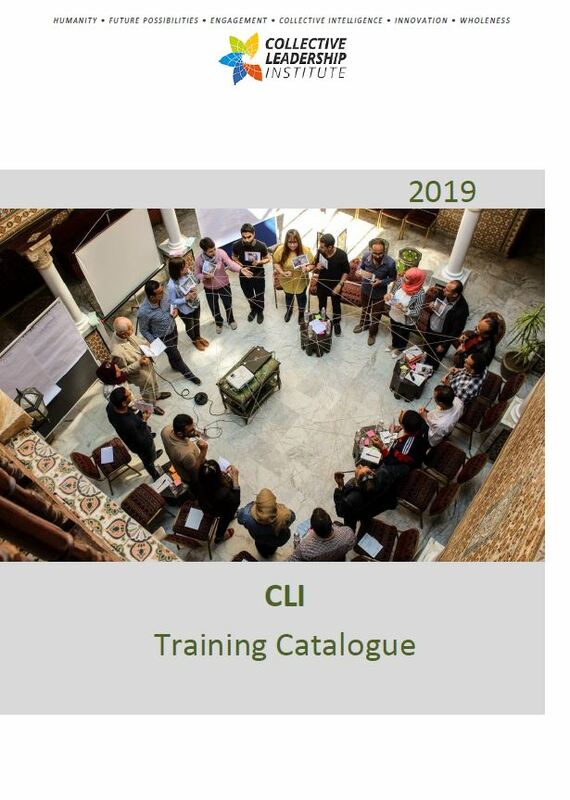 For the past decade, CLI has conceptualized and field-tested collaboration methodologies and tools with partners, developing high quality and engaging training curricula, materials, and publications. Through our growing network of partners, we seek to transfer these approaches and materials to skilled specialists around the world and, through them, scale collaboration and impact for sustainability. Collaboration across international borders, such as on the refugee crisis, transboundary watershed management, and transboundary fisheries management. 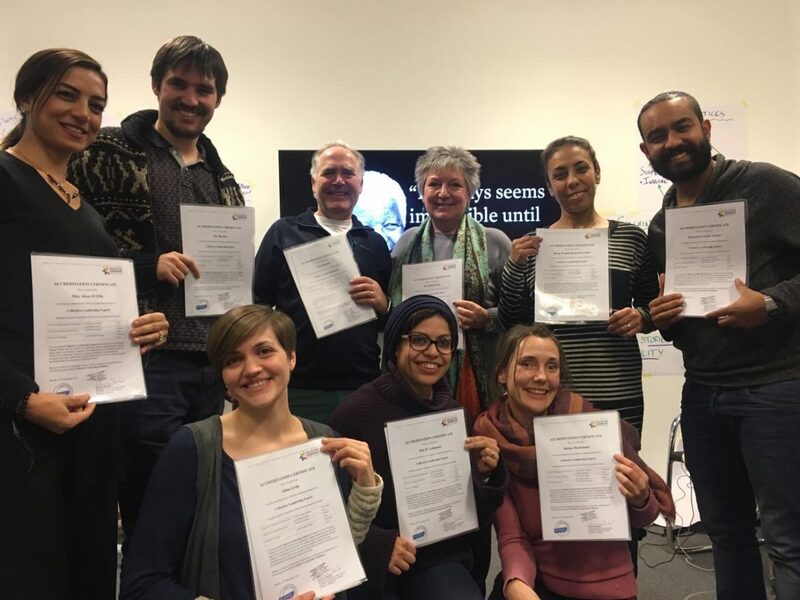 Therefore, the Collective Leadership Institute developed a Certification Scheme, which is offered to any individual, who would like to join the network of other collaborative change-makers.. 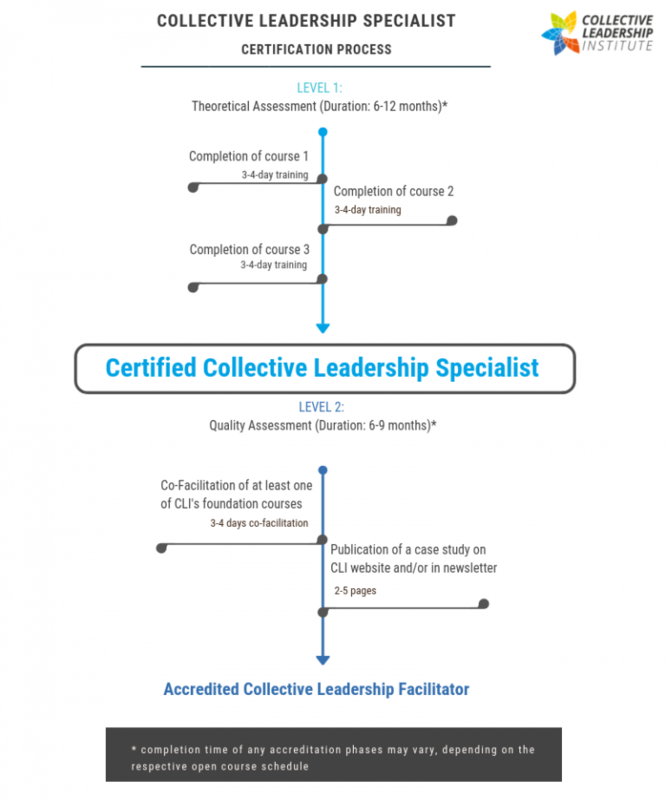 In order to become a Collective Leadership Specialist, individuals, teams or CLI course Alumni go through the certification process (the graph below presents the training process). 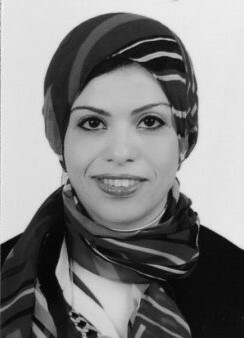 and learn the CLI methodologies: © Dialogic Change Model and © Collective Leadership Compass, as well as facilitation techniques. CLI Certified Collective Leadership Specialists are able to apply the above- mentioned methodologies successfully in practice. By completing our certification process, Collective Leadership Specialists have proven expertise in designing and invigorating multi-stakeholder initiatives that work to achieve outcomes across the Sustainable Development Goals at all levels. 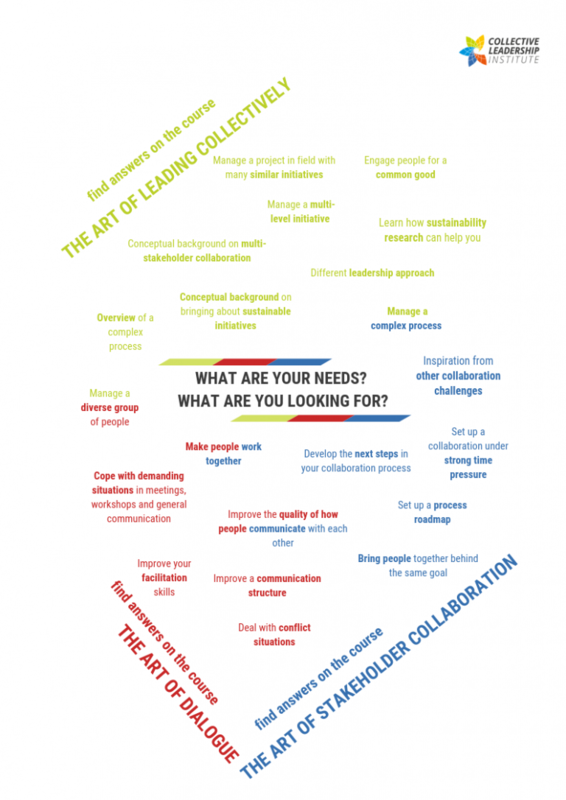 Being a Collective Leadership Specialist is also a compulsory qualification to become an Accredited Collective Leadership Facilitator and create a Collective Leadership Academy. We have trained several Collective Leadership Specialists worldwide since the start of the programme in 2017. The table below present the number of Collective Leadership Specialists per country.